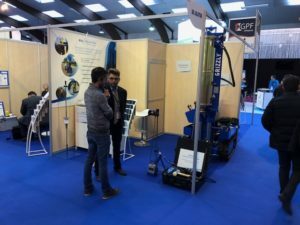 The Carrefour de l'Eau is a major event in the water sector, and brings together 500 exhibitors. Our team will present its range of equipment dedicated to compaction controls in sewerage trenches. SOL SOL SOLUTION will take advantage of the Carrefour de l'Eau to unveil its latest innovations. Visit us at Stand 342, Hall 4.